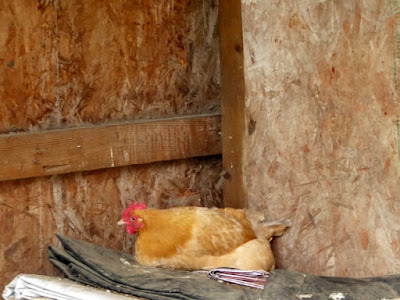 Yesterday I heard, once again, the telltale squawks and alarmed clucks of chickens in distress. I dashed outside and through the barn. Peering out back into the corral, I saw the yellow eyes of a coyote peering back at me through the board fences. Being without the shotgun, I resorted instead to slamming out the barn door and yelling. "Ya! Ya!" The coyote ran off about twenty feet, stopped and looked at me again. I ran toward it, yelling. He took off into the woods. 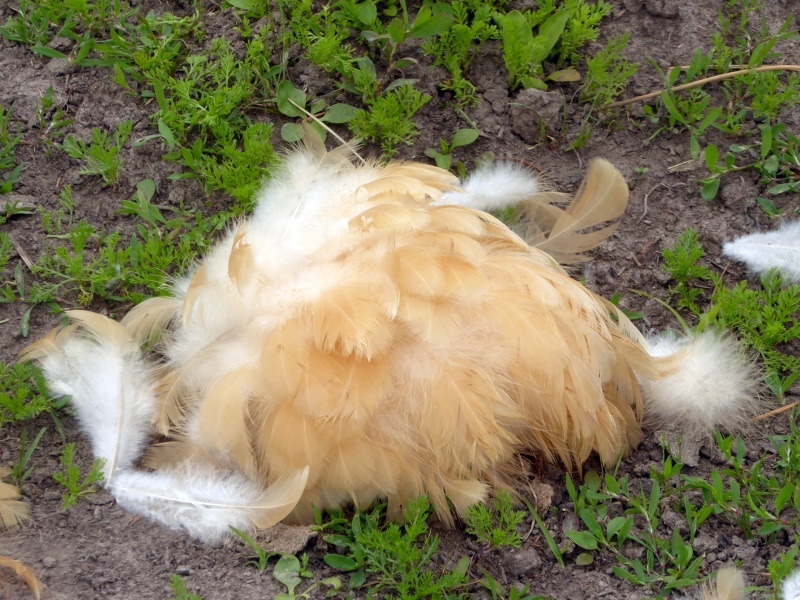 This is what was left of one of our two remaining Buff Orpington hens. I was bummed, as I'm fond of these ladies. The entire tail had been pulled out in one unit, still complete. I walked Lydia throughout the woods, letting her choose her own paths, and let me tell you she was hot on the trail of the predator. However no glimpse of the wily creature could be seen, so after half an hour we made our way back toward the corral. But then Lydia wandered into a small side pen off the barn we seldom enter. Immediately a series of squawks came from the depths. The hen was alive! 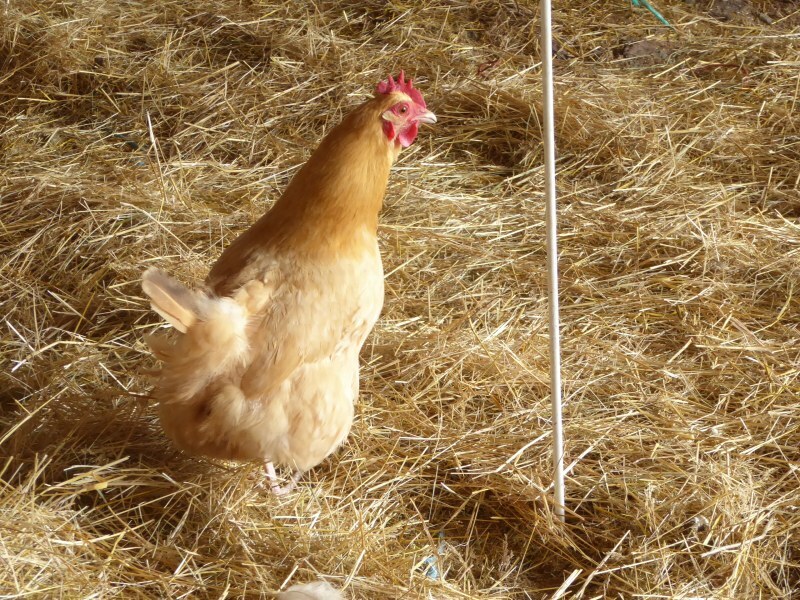 I pulled Lydia out of the pen, tucked her in the house, then went into the pen and gently picked up the hen. She seemed glad to be cradled in my arms and, though shaken, was otherwise uninjured. Let me tell you, that is one durned lucky chicken. I carried her into the new barn and put her down. She was still drawn and tense and is completely missing her tail (except for one feather sticking up). She was still shedding feathers too, as she walked. 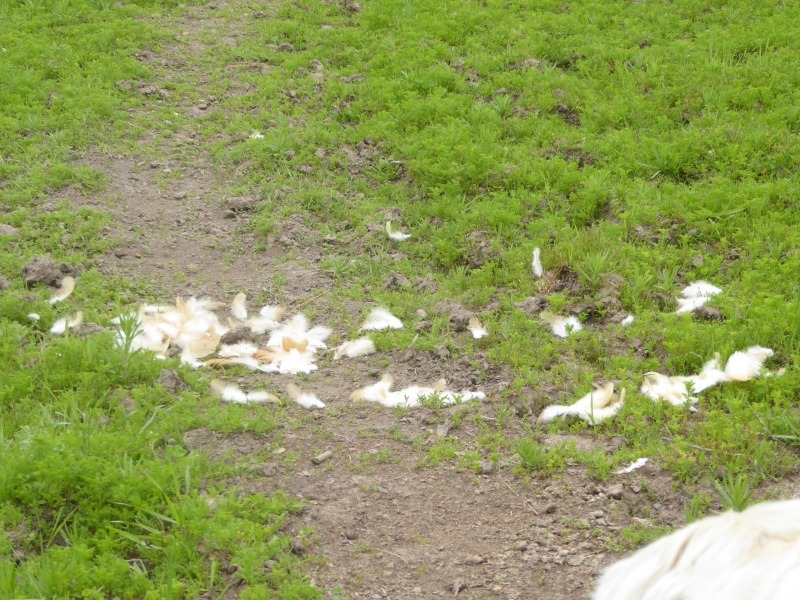 But she's alive and unhurt, and that's a whole lot better than most chickens end up after meeting a coyote. Now that we're apparently on the local coyote population's daily grocery run, attacks on our flock have been increasing. It underscores the need to complete an important project this summer: a large enclosed yard for the birds. 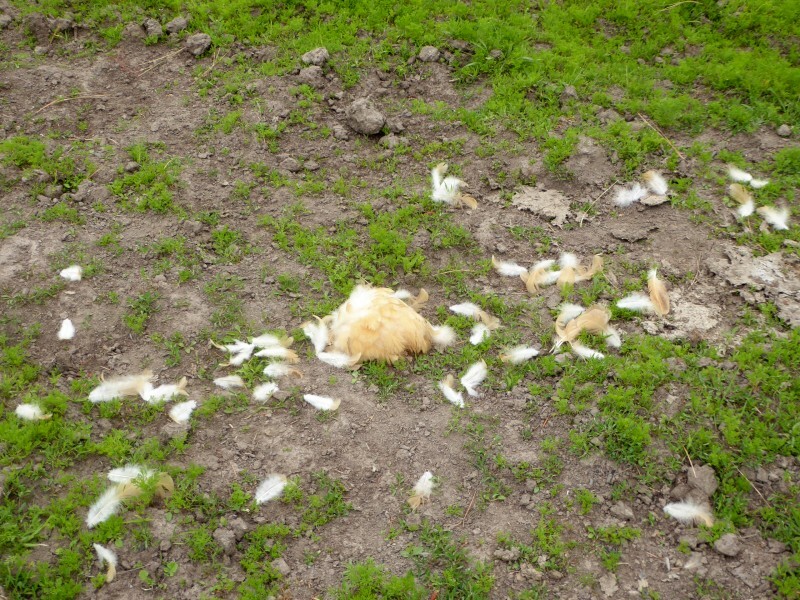 I like having chickens scattered all over the property, but -- unfortunately -- so do the coyotes. Such is life on a farm. Her eggs are going to be scrambled for a week! If you're not too close to neighbors, you need to have a coyote caller come in and thin them down a little. Time to start carrying the shotgun anytime you go out the door until you can shoot that coyote. Very lucky hen! I've a Buff rooster with the same lack of tail-just one little feather due to a boy catching it. Funny looking thing but still a decent rooster, which is all you can expect of them. If I remember right, a commentator in a previous post of yours about the coyote said you'd not seem the last of him. Guess you didn't believe him. Hope your hens continue to have good luck ans they'll need it. 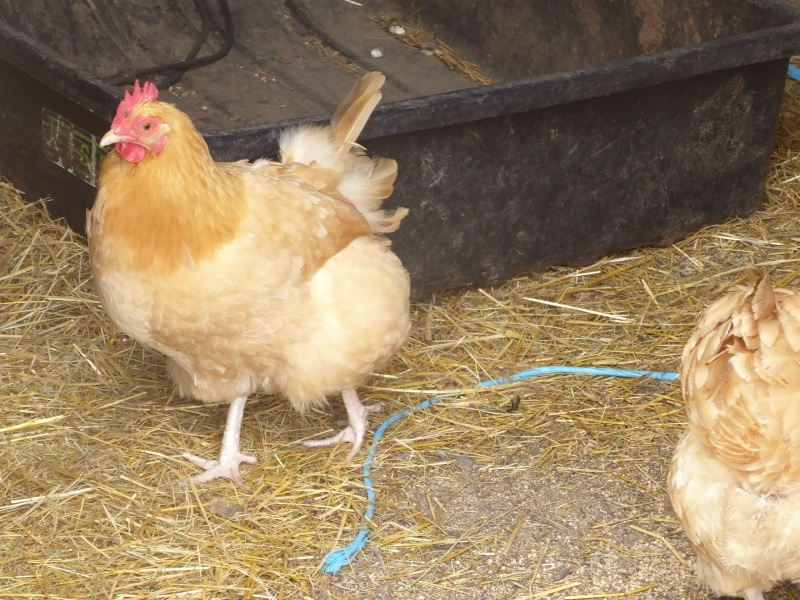 We also have buff orpington's and they are the sweetest birds. Good egg layers too. We added 5 new birds this year and they are starting to join the greater flock. The only bird that I do not like is a lone rhodeisland red. We had 3 and this is the last one and I will be glad to see her go. She is just not friendly at all to either me or the other chickens. Is this true of all RIRs? I hope not. I just got some RIR chicks this spring. 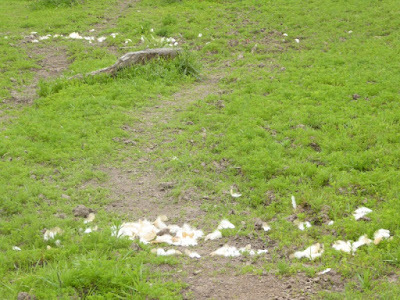 I much as I want to let my chickens free-range, I can't. We have coyotes, foxes, raccoons, opossums, and the neighbors dogs who seem to always want a snack. You need a few donkeys to keep those KY-YOTES away! ;) We have two, and they do a great job. Plus, they are sweeties! Bobcat got 2 of our ducks last year. 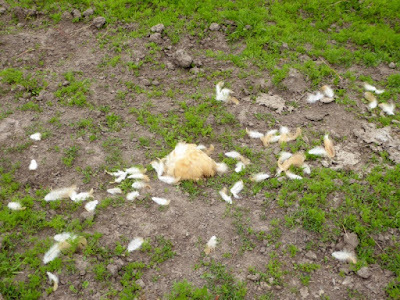 The coyotes around here keep eating the stupid neighbors dogs and cats they leave out at night. 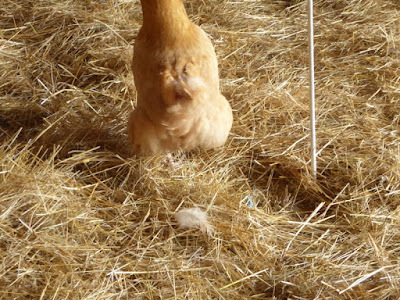 I have had 3 buff Orpington chicks for a week-and-a-half now. We'll get eggs from them in a few months but my wife and daughter have already made it clear they'll never be butchered. 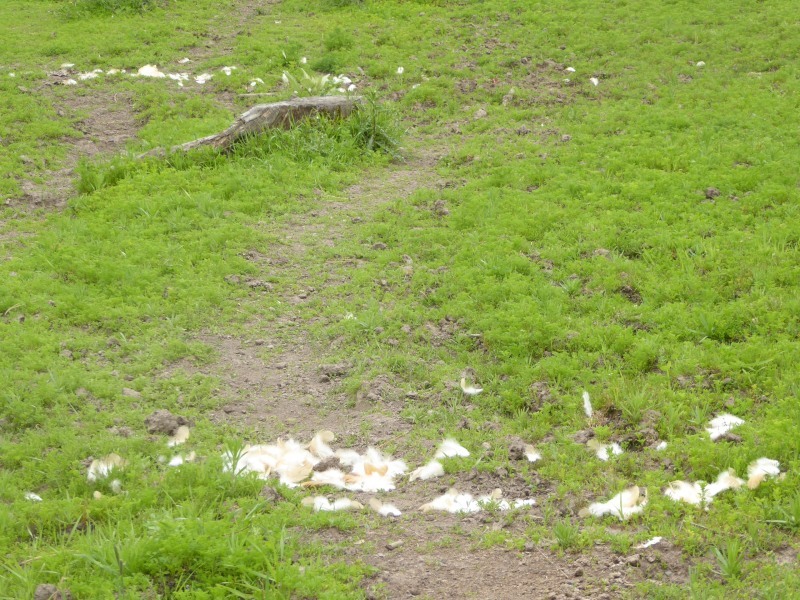 Guess if they steer clear of predators I'll have to bury the chickens in several years. Take better care of your animals. Reaching for a gun as a first thought on a corrective of your own negligence is irresponsible. Are we already in a civil war?